Road Closures/Restrictions for this weekends Papal Visit. The Pope visits Dublin this weekend and with his visit comes a list of restrictions. The list is endless and each road will open or close at different times throughout the weekend. 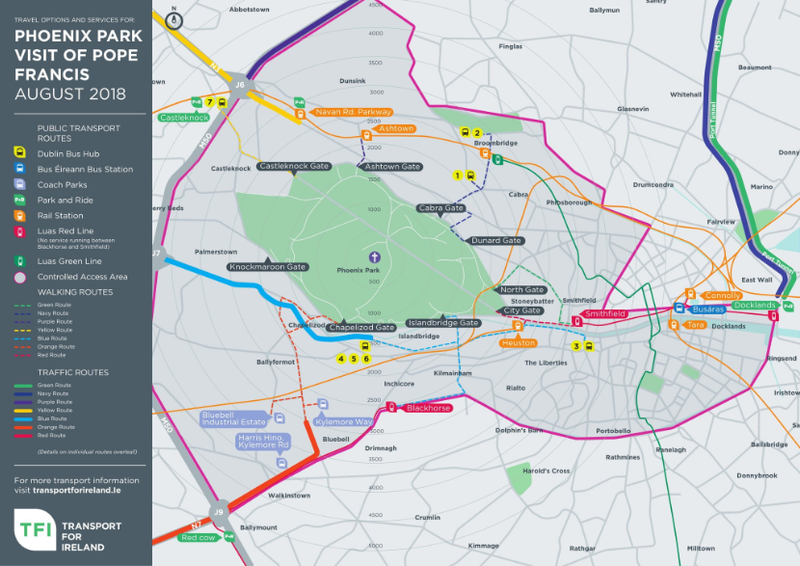 Keep an eye on Dublin City Council for updates on any changes in plans. On Saturday he will be in Croke Park attending a concert, doors open at 4pm with the show kicking off from 6.30pm – 8.30pm. There will be a number of road closures across the city from about midday, including O’Connell St, Church St, Patrick St and Dame St. However, some roads will be closed as early as 6am. Sunday there will a mass taking place in Phoenix Park at 3pm and the majority of road closures will take place around this time. A Controlled Access Zone will be in place from 6am. The N3/Navan Rd, N4/Lucan Rd and N7/Naas Rd will be closed at the M50 Interchange from this time, with traffic sent either north or south onto the M50. As of now, there are no planned closures for Finglas Rd, Ballymun Rd or any major northside commuter routes, however there will be restrictions as you get closer to the city centre. Southside closures start at Grand Canal, with the bridges along this artery closed from 8am on Sunday.